“Electric guitar sales have slipped 22.7% since 2008, based partly on decreased demand from younger buyers. Surprisingly, acoustic guitar sales are a totally different story. 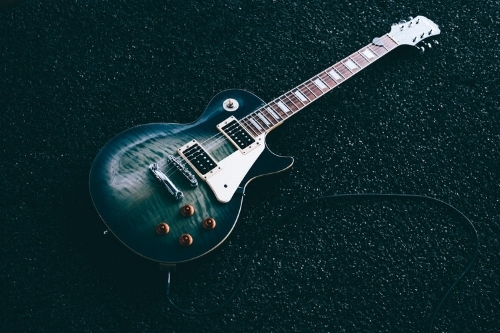 Last year, the Washington Post reported that electric guitar sales had plummeted 33% in the past ten years, from 1.5 million units annually to 1 million currently. Now, there’s more data showing a precipitous decline. According to data shared by Music Trades, which tracks annual instrument sales in North America, electric guitar sales slipped 22.7% over the past decade. The report counted sales of 1.452 million guitar sales in 2008, a figure that had slipped to 1.123 million units in 2017. Ironically, the report was shared by a representative of Guitar Center, who sent the report to show a sales increase over the past year. But that increase appears temporary, with the broader trend since 2008 showing a clear decline”. Just because hip-hop and pop are ascendant in the streaming age doesn’t mean there aren’t thousands of guitar bands recording and gracing concert stages every year, from newcomers like Empath to modern mainstays like the National. It does mean, however, that guitar makers have to find new customers. As the charts and stages change guard, companies are also stepping outside of a demographic upon which they relied for decades – white, male buyers – to ask themselves: Who were they missing all this time? When Fabi Reyna first started She Shreds, a magazine for female guitarists, five years ago, few in the industry paid attention. But now – with those old guitar heroes exiting the zeitgeist and Taylor Swift and her ilk drawing massive crowds of female fans and imitators – instrument-makers are taking notice of a huge audience they’d ignored. Guitar-wielding women, from Lucy Dacus to Soccer Mommy to 19-year-old Lindsey Jordan of Snail Mail, have made some of this year’s most remarkable albums. Perhaps the enormous potential had been there all along”. It is true there are fewer guitar/music shops of the high-street but there are plenty of online sites selling guitars - and you cannot really substitute electronics and apps for a real instrument! The reason I am bringing this subject up is a report that states women are responsible for 50% of guitar sales! “From singers to drummers, roadies to rock critics, music is an industry still overwhelmingly dominated by men – but perhaps not forever. A new study of those taking up the guitar has found that half of new learners are women and girls, suggesting that the future of rock, metal and indie might just be 50% female. The survey by the guitar manufacturer Fender found that in the US and UK, a phenomenon it had originally assumed was a short-lived blip inspired by the popularity of Taylor Swift was in fact enduring and worldwide. Similar results from a previous, smaller study in 2016 had initially been ascribed to the “Swift factor”, Fender CEO Andy Mooney told Rolling Stone magazine. Fender’s UK team had been surprised that half its sales were to girls and women, he said, “but it’s identical to what’s happening in the US”. Almost three-quarters (72%) of those picking up the guitar did so because they wanted to gain a life skill or better themselves, according to Fender’s survey of 500 new and aspirational guitarists, with 42% saying they viewed the guitar as part of their identity”. One of the problems with the guitar market is patience and people dispensing with them after a year. Many pick them up with ambition and intention but, soon enough, they get distracted and take up other pursuits. There has always been this impression women lust after musicians and are not that interested in playing. That perception is flawed and, in fact, the reason for this resurgence and parity is women/girls wanting to follow in the footsteps of their idols and adding their voice to music. Maybe the electric guitar is less healthy, in terms of sales, than the acoustic but the fact there are now as many women as men picking up guitars is a great thing! Reports suggest that our consumers are more private than those in the U.S. Maybe there are more overt guitar players there and, perhaps, the impression one gets from the U.K. is of the acoustic guitar-wielding musician who wants to noodle and experiment on their own. That old perception of men picking up guitars to start a band is no longer the standard. I think history and stereotypes have blurred the market. We hark back to decades like 1990s when a raft of blokes were keen to ape the likes of Nirvana, Pearl Jam and that sort. They would head to the guitar shop with their girlfriends and they would buy a guitar – it would usually be electric and cranked right up! The fact the Rock/Alternative band market has shifted and shrunk since then means other genres are taking over. Artists like Taylor Swift were responsible for a wave of young women picking up the guitar but, even though she is less influential now, there are new artists keeping that flame alight! There are people I have heard from who still feel, if they are shopping for guitars with their boyfriends/husbands; the sales assistant will ask the man what they want – assuming it is he who is buying and his other half is there to hold his wallet! Things have, thankfully, moved on and the fact music is wider and more electric than ever means things are altering. There are more independent and unsigned artists coming through - and most of the very best, in my view, are women. Solo artists like Laura Marling and St. Vincent are gathering huge acclaim and, as such, women/girls are seeing these role models they can relate to and who, in turn, are shouting for women and showing how good they are! There have always been iconic female guitar players but I think more and more are coming to the mainstream. I am a big fan of bands like Goat Girl and HAIM and others such as Wolf Alice - where there are female leads and these gnarly, powerful figures. 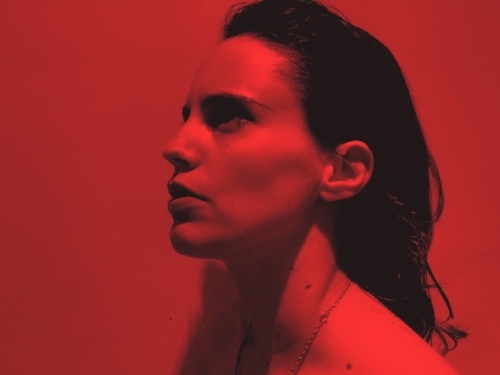 To my mind, Anna Calvi is one of the best guitarists in the world right now. I have seen videos of her playing her favourite riffs and she can take on the likes of Jimi Hendrix with ease and passion. Her albums are filled with great licks and riffs and, whilst she is softly-spoken and fairly shy; her music is speaking volumes and inspiring a new generation of female players who are finding much to love – even if they might take a few years to match Calvi and her chops. Similarly; St. Vincent is a great and varied player who matches her guitar skills with fantastic and colourful songs. Whereas blokey bands of the past inspired men to pick guitars up and thrash; a rise in strong female musicians using their guitar as a social and political women is having a profound and immediate effect. It is not only the big and bold female artists who are responsible for an uptake. Folk and Pop are still influential but perhaps artists like Taylor Swift do not hold as much sway as they did a couple of years back. More and more all-female/female-led bands mean electric guitars are still burning bright whilst many great Folk/solo female artists are compelling a love of the acoustic guitar! “To the music critic Caroline Sullivan, the increase in women taking up guitar might be explained by millennial women wanting to play an assertive instrument “whose whole basis is: look at me”. “It doesn’t surprise me that a lot of young girls are taking up the guitar, because playing guitar seems much cooler and more dominant than doing the traditional female thing of standing behind a keyboard looking pretty”. “For Fender—and for other guitar companies, as well—young players like Creevy and Faye represent the future of the instrument. Like many other industries in the #MeToo era, guitar makers are retooling their images. The effort hasn’t necessarily been fueled by accusations of sexual harassment or misogyny, though the business has no shortage of either—just ask any female musician who’s endured the mansplaining of a guitar showroom clerk. Instead manufacturers are taking cues from the fresh economic reality, revealed by Fender market research, that half the purchasers of new guitars are now women”. “So why all the pessimism about the electric guitar? “To me that narrative—‘Is the electric guitar going away?’—is really, ‘Is my definition of what’s awesome about the electric guitar going away?’” says Anna Bulbrook, founder of the women-led L.A. music festival and community Girlschool. “According to Bulbrook, much of the romance surrounding the electric guitar for decades was centered on the image of the “shredder,” a highly technical, flashy player who was nearly always a man. There are a few notable exceptions—Lita Ford, Nancy Wilson—but people are more likely to namedrop Eric Clapton, Jimi Hendrix, Eddie Van Halen, or Jimmy Page. But such a “male definition of what it means to look and act like a guitarist” was always more limiting than the possibilities of the instrument itself—and it ignored much of the guitar’s history in American popular music, where players like country star Maybelle Carter and recent Rock and Roll Hall of Fame inductee Sister Rosetta Tharpe pioneered its use as a lead instrument. “I understand canonizing some of the greatest shredders of all time,” says Bulbrook, who also fronts her own band, the Bulls, and plays violin in the Airborne Toxic Event. “But I would argue most of the guitarists people look up to now aren’t 65-year-old aging rock gods. Music has shifted a lot”. I don’t think we can look at modern music and think about it the same way we did years ago. In terms of what a guitar player is and what ‘guitar music’ is about; it is not a binary market. There are so many genres and sub-genres that are seeing more women have a say and the market, as such, take note. Women have always been at the forefront of the guitar epoch. The media’s fascinating with male bands and that ‘epic shredder’ has caused a lot of problems but now, with the market as varied and open as ever, perceptions are starting to change. My greatest hope is that this equalisation and new finding leads to more festivals booking women as headliners. A lot of festivals are providing a big platform for female artists on lesser stages – dedicated to new talent and undiscovered artists – but what of the headline stages?! Take a look at the Reading and Leeds line-ups and, for the past few years, it has been dominated by men. This year’s event saw a lot more women come into the pack – and genres other than Rock – but it was the men who were on the main stages. Look at the last decade of Glastonbury headliners and how many of them are women?! You would be hard-pressed to find a year when there have been more women headlining than men and the headliners of 2017 – Ed Sheeran Foo Fighters and Radiohead – show how the big festivals are still obsessed by Rock bands, mainstream artists and obvious names. Reading and Leeds had Kings of Leon playing – how many years since they were relevant?! – and some of the more washed-up and obvious artists. If I were running a big festival like Glastonbury; I would look at the news regarding an equal gender split in regards guitar buying and look at the catalysts. Who are the modern artists driving this revival?! I have mentioned Anna Calvi and St. Vincent and, for my money, both would make epic Glastonbury headliners – the latter stands out as a particular must-book! Bigger Pop and Alternative artists like Florence and the Machine and Christine and the Queens, whilst not known for their guitar-based songs, have edginess and attitude that women want to replicate through the guitars. We mustn’t assume women are only listening to women. The rise of bands like IDLES have many female fans who are influenced by their work and want to follow suit. I would book St. Vincent for Glastonbury and feel she would go well alongside Beyoncé. Again; Queen Bey is not known for her shredding but her songs are filled with energy, strut and empowerment. Whilst the likes of Madonna have been speculated and mentioned regarding Glastonbury headliners it seems, sadly, the clichés still apply. I mentioned how have to overlook the male Rock gods and embrace female artists but two names who seem Glastonbury favourites, Bruce Springsteen and Sir Paul McCartney, are part of that scene! Sir Elton John and Fleetwood Mac have been mentioned as possible and only one of these names has any female members – Stevie Nicks and Christine McVie would make a welcome change and a showing from Fleetwood Mac would be welcome! Arctic Monkeys, IDLES and The Strokes have been named and I feel, sadly, it will be a male majority for headliners! OF those looking for great festival headliners.